Earth Day was Wednesday this year. Last year it fell on Tuesday and the year before on Monday. Next year, it will be a Friday. The day – April 22 – moves according to the calendar just as Earth is moving – every year, every day, and every moment. We live on a dynamic planet. 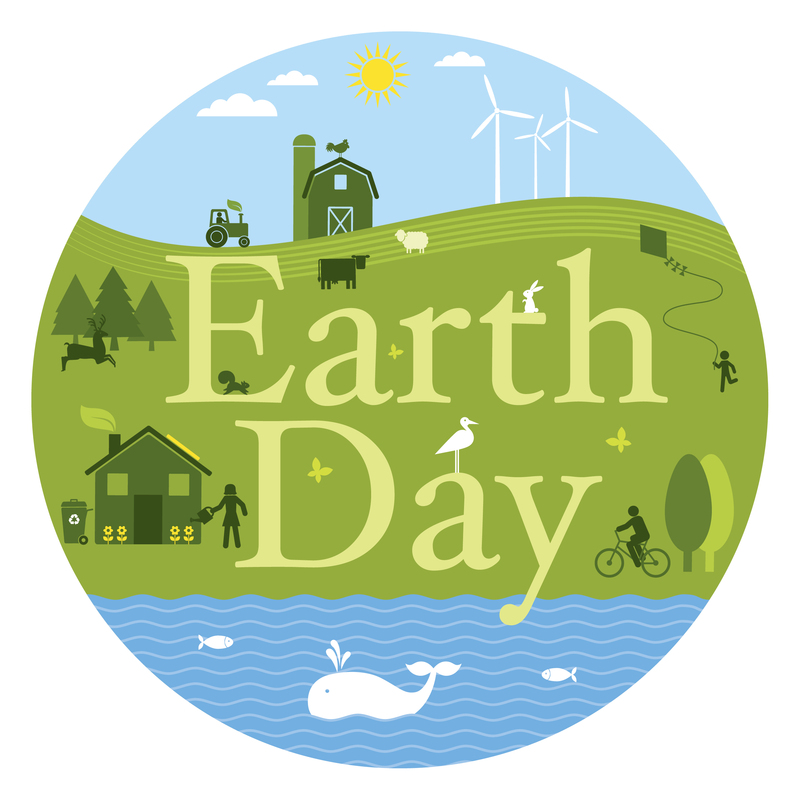 Earth Day 2015 was two days several days ago. As usual, my timing is askew. We humans share the planet with all other living things – all sorts of plants and animals. We are a dynamic species always evolving, always searching for ways to change our environment to best fit our needs. In doing so we have changed Earth. Originally, humans wandered from place to place in search of food. Sometimes these early humans were successful and other times not so successful. However, we humans are clever and always searching for a better way and those early humans sought ways to find food much more quickly. We eventually learned that it was much easier to domesticate plants, animals, and learned to farm. So, we made pastures and fields where forests and meadows once were. Once we harnessed our food supply, we used our cleverness to adapt Earth even further. And, that is how we find ourselves in the mess that Earth is in today. I use too much water. I create too much carbon. I consume more resources and create more garbage than I should, and I don’t recycle as much as I can. This week I learned even more and I shared it with my science students. After Spring Break, we began our study of environmental science and they will be constructing their own landfills in the next two weeks testing for methane gas and leachate – the liquid that leaks out of landfills and contaminates the ground water. I also discovered another way I can make a small difference and I shared it with my students and the school. Now, I am paying it forward to you. I knew I could recycle plastic shopping bags, and I did. But, what I didn’t know was what happened to plastic bags when they were recycled. Now, I know. 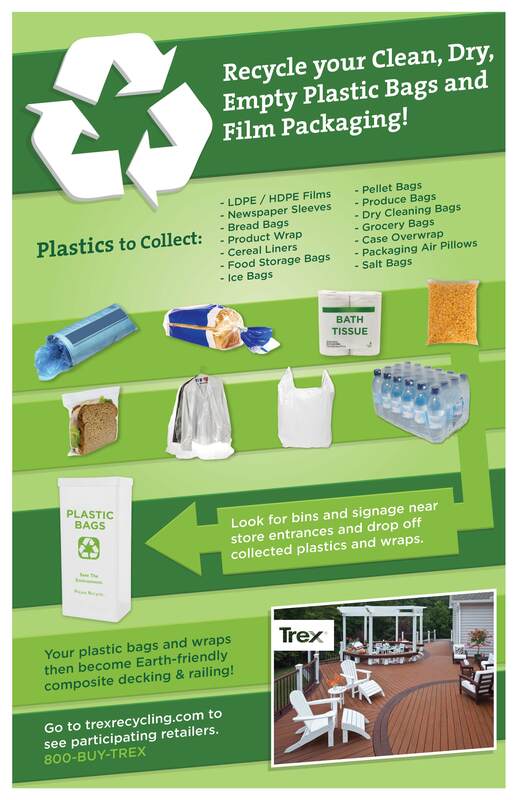 I also learned that there is more that I can add to the plastic shopping bag recycling. Below is a poster to help. Here is the text of an e-mail I got from a student Saturday. It made my day – week – year. I was in the car thinking about plastic and recycling and I was looking out the window and saw a billboard for TREX plastic wood, what a coincidence! But I’ve been thinking and talking about recycling and what we could do better in my house. It was a great week. Earth Day morphed into a week of lessons about the human impact on Earth. This morning, I find myself typing in a Starbucks sipping my favorite’ jump start the day drink,’ a black eye – two shots of espresso added to a cup of coffee – no cream and no sugar. Hot and black. 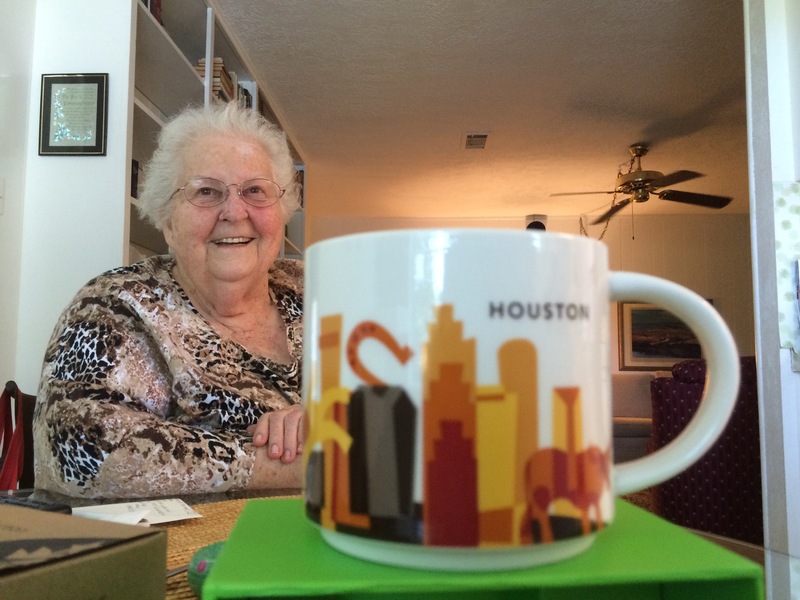 I am visiting my mom in Sugar Land – a suburb of Houston. It is where I grew up. It was my mom’s birthday yesterday and we celebrated. I surprised her with a visit and called her when I was on the airplane Friday night to warn her I was coming. I saw my two brothers yesterday and surprised them, too. It was a good surprise and a good birthday present for her, and for me, too but really for all of us. That was yesterday. This morning, I woke up early and the house was quiet; I didn’t want to wake my mom, so I came here to Starbucks for a cup of coffee and Wi-Fi. Today is gonna be a great day. I know it and I can feel it so I’d better jump up, jump in and seize the day before the sun sets and it’s all over. Making the Days Count, one day at a time, one new idea or maybe an old idea rephrased and repeated. Happy Earth Day, even if it is a day late, it is never too late to begin to make a difference. I very much agree with your recycling point. But I also realise we as humans are lazy so it needs to be easy for us. Therefore I was surprised over how difficult it was to recycle when I came to Canada. A couple of examples… I was used to being able to bring my empty drinking bottles (glass and plastic) and cans to the grocer store for recycling. There is a machine in every grocery store where you put the bottles in. And most people go to the grocery store several times a week so easy peasy. In our new city we have to go to a special bottle depot which is a detour from our normal routes and it is only open during day time (when I am at work…). People who always recycled back home do not here because it is to much of a hassle for them. Same story with plastic. We used to recycle all our plastic. For the garbage we had colour coded bags (red was plastic). And all the garbage went into the same garbage can. This was picked up and bags sorted later. Again easy peasy so it made more people recycle. Here you must drive to a plastic depot to deliver. And again, it much hassle for many people. The options are there but due to out ‘lazy nature’ I think we would be much more successful in achieving higher percentage of recycle if it was made more convenient. I apologize for the late reply – I read it when the comment when you posted and wanted to reply, then… but got distracted – I am easily distracted. I agree with you – making it easier to recycle will definitely increase recycling, but the BIG idea is when MORE people are going to buy in and make sacrifices and use less and recycle more, because it’s the RIGHT thing to do, not because it’s easy. We have to overcome our own inertia. It starts with us – and we pay it forward and make the difference and change in the world we want to see. Have a great week! I agree! We can still make a difference. And your photo of your mom made me smile! We had a great time together – it was wonderful seeing her. I brought her a Chicago mug and she was drinking her coffee with Chicago and I was using Houston, even this morning. Thank you and enjoy your week – it’s gonna be great! Happy Eath Day! Yes, we are really making a mess of our planet. I just hope before it’s too late we learn from our mistakes and nurture it rather than destroy it. Perhaps the next few generations will be better about it than we are. Phil – we are slowly reeling ourselves in and changing our behavior, but we have a lot to undo and un-engineer before we get back to nature’s balance. It starts with me. Take care and enjoy your week.